LUFKIN, TX - The Main Street Lufkin Lighted Christmas Parade will begin at 6 p.m. tonight as bands and floats wind through the streets of downtown to usher in the holiday season. "The rain seems to be moving out of the area, and we are gearing up for a night of fun for the entire family," said Barbara Thompson, Lufkin's Main Street director. Announcers will be set up in front of The Pines Theater to interact with watchers as they wait for the parade and then to announce the parade as it comes through downtown, she said. 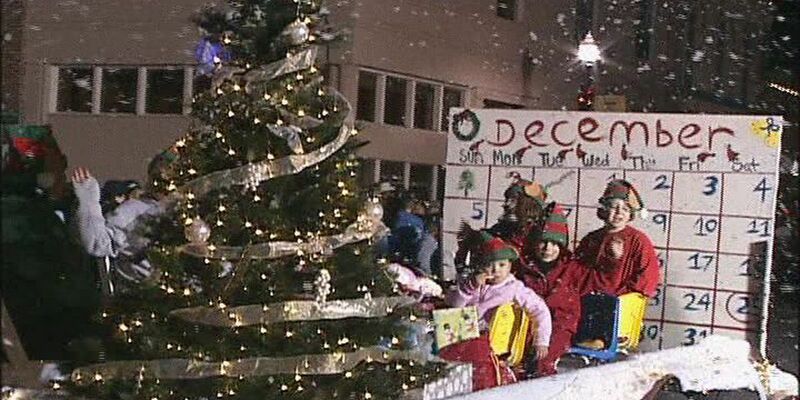 Prior to the parade, at 5:30 p.m., Judge Wes Suiter will turn on the lights of the County Courthouse. Jimmy and LeAnn Hughes will be located in front of the courthouse to provide music and entertainment as people wait for the parade to come through that area, she said. This year's theme is "The Stories of Christmas," and Lorrain Simoneau, librarian at Kurth Memorial Library will serve as our parade marshal. This fits well with our parade theme to have someone who helps bring the joy and magic of reading to our community, not just at Christmas but all year long serve as our marshall, Thompson said. As in years past, first, second, and third place prizes will be awarded in commercial and non-commercial categories. Businesses are judged in the commercial category. Schools, churches, civic organizations, and non-profits are non-commercial. In addition one float will be recognized for "best theme interpretation" and Santa will ride on this float.